Join the Greater Boerne Chamber of Commerce for a Builders and Realtors Connection including a presentation on the Development Review Process Improvement presented by City of Boerne Assistant City Manager, Dan Blankenship. We will have a networking opportunity and time for Q & A. Please bring your business cards. 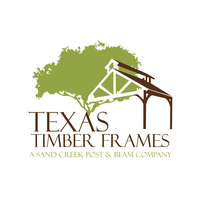 Refreshments will be provided by Texas Timber Frames. RSVP is required by noon on February 18 to holly@boerne.org. This is a free event. RSVP is required by noon on February 18 to holly@boerne.org.